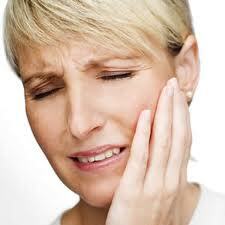 We’ve blogged here before about the problems associated with TMJ Disorder. TMJ is actually just one of several disorders in the category of TMDs, or tempromandibular disorders. Thus far dentists like Dr. James A. Wells from South Charlotte Dentistry have had much difficulty in determining who is at risk for developing these terrible disorders, but new research can now provide some relief. Researchers at the Buffalo School of Dental Medicine have developed a set of characteristics that they believe are the key risk factors for an individual developing a TMD. These researchers hope that the new set of clinical characteristics will help dentists like Dr. Wells to provide the best care for their patients in the future by allowing them to better understand what puts someone at risk for a TMD. The research was published in the November issue of the Journal of Pain. It is part of a larger study called OPPERA, which stands for Orofacial Pain Prospective Evaluation and Risk Assessment. This study is the largest that has ever been conducted on pain conditions and their development. The researchers on this study looked at both patients who had never experienced TMD and those who were current sufferers of TMD. The study was conducted through questionnaires containing a large amount of questions about the patients’ current health and symptoms as well as their health histories. Researchers also conducted clinical exams on the patients to study their pain disorders. Patients were studied from several states across the US, including North Carolina! The researchers looked at seventy one variables that appeared to be associated with TMD, and discovered a positive correlation for a high number of those variables, fifty nine. This means that fifty nine of the seventy one variables that researchers thought may be associated with TMD showed signs of being significantly associated with TMD. “Our results indicate that individuals with TMD differ substantially from the controls across almost all of the variables we assessed,” said Ohrbach. The variables that were most significant in the TMD sufferers were patients with trauma to the jaw, jaw locking and/or jaw noises, non-pain symptoms in the facial area, and pain during regular jaw activities such as chewing and talking. Ohrbach noted that some of these findings were very much expected, but there were also some which researchers knew little about prior to the study. Some of the risk factors that researchers were not expecting are neural and sensory medical conditions like earaches, hearing loss, fainting and dizziness, and seizures and epilepsy. The research has also confirmed previous theories about certain risk factors that had not yet been proven with such a large scale and comprehensive study. One of these factors is that patients who have other pain disorders are more likely to find that they have TMD as well. But Ohrbach is unclear about exactly which comes first in this scenario. The research plans to continue in order to answer questions such as these. The researchers hope to track the pain disorders and look at their relevance to certain variables. The researchers hope that this will provide society with a better understanding not only of TMD, but of pain disorders as a whole. If you are interested in how we can help you with your TMD disorder, please visit our contact us page or call 704-759-0908!